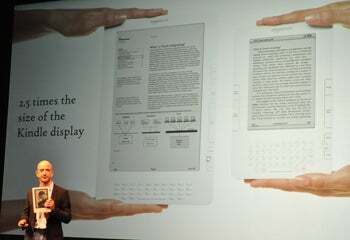 With its large-format Kindle DX (being announced this morning), Amazon aims to reinvent newspapers for the modern age. (And for textbooks, for that matter, but that's a separate commentary.) The popularity of the Internet, coupled with the current economic downturn, has left the newspaper industry in a shambles. The magazine industry is not too much better off. But I don't see the Kindle DX and other such e-reader devices previously discussed by companies like Hearst and News Corp. as the salvation of newspapers. The reality is we have too many ways to get our information for free. We can read the news via the Internet, our cell phones, and other handhelds such as the iPod Touch. In some cities news, weather, sports score can even be spotted scrolling on taxi top signs. For these reasons, as a Kindle owner I can't justify paying $14 a month for an electronic version of The New York Times delivered to my e-reader. After all, I can read it online or download The New York Times iPhone App for free. Will the Kindle DX change my opinion? Not yet. 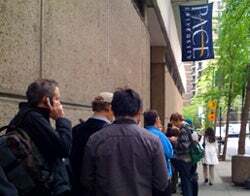 In spite of the Kindle 2's integrated wireless Whispernet connectivity that can push updates to the Kindle, Amazon is slow to push out updates and is no match for the real-time delivery of the Web. If the Internet has changed one thing in the way we consume news it's that we want news updates frequently. Of course, blitheley saying we'll just read those newspapers online won't be possible if the newspapers cease publication. For newspaper delivery via the Kindle to have appeal, I do not want a rehash of the print edition or the Web version. Instead, I want flexibility and customization that matches my preferences. I want to be able to customize the types of stories I see and the frequency with which they're sent. I want to be able to clip and save stories for posterity-both on the device and in the cloud so I can re-download them to another Kindle (or my Kindle iPhone App) or access them via the Web. I'd welcome more emphasis on recommended reading (not unlike Amazon's own shopping/recommendation engine). Finally, I'd want to get a reading experience with less news and more analysis, packaged and parsed for the Kindle by a human. All of that said, I remember my days as a railroad commuter, and can see the appeal of digital version of newspapers pushed to a device. After all, the Kindle-delivery of newspapers has its advantages such as no more newsprint bleeding onto my fingers, no more wrestling with a tabloid and broadsheet-sized newspapers (New York commuters have perfected the four-way fold for reading The New York Times), and no more paper to have to recycle. But the danger for Kindle DX, and other Kindle-clone devices, is that the aforementioned advantages only apply to a dwindling subset of the population that still subscribe or buy newspapers. The rest of us will need more convincing to start paying again for news and for a hardware device. Of course, if a publication wants to subsidize my device purchase, in exchange for a subscription commitment, that could sweeten the deal. Maybe consumers that have given up on newspapers could be enticed if the device is heavily subsidized by publishers. But even that approach is fraught with caution: Acer's Aspire One is not much of a bargain at $50, if you consider you'll be committing to a 2-year AT&T Wireless data contract that will cost you $1440 to $2400 over the life of the contract. Textbooks and newspapers are targets of the large-format Kindle due for release this summer. As expected, Amazon.com Wednesday released a new version of its Kindle with a bigger screen.